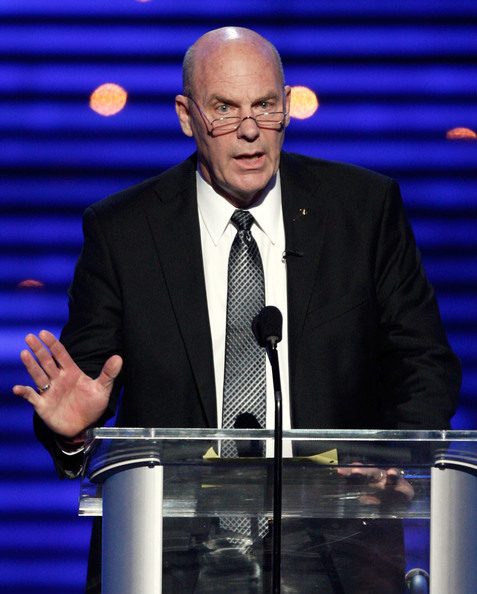 Coach Don Meyer’s battle with cancer came to an end on May 18, 2014. He was 69 years old. He finished his long life as one of the winningest coaches in NCAA history, acquiring 923 wins throughout his coaching career. I was one of the unfortunate ones who never had the opportunity to meet this great man, but I have read and heard a lot about him. One of the main reasons I respect him incredibly as a coach and influencer because he does something we talk about a lot here at BFC: He teaches more than basketball. The amount of love he’s received over the internet during the last few days is a testament to the impact he’s had on the basketball community. Every second tweet I’ve seen on Twitter has had to do with Don Meyer, whether it’s a quote, or someone sharing how he affected their lives. So the lessons I’m about to share with you aren’t things I learned directly from Coach Meyer (I wish), they are from quotes and stories I have read or have been told to me. Some of them basketball related, some of them life-related. I’m going to share with you the meaning that I took from each lesson he taught. We encourage you to praise your players in front of their teammates. If they’re working hard and deserve it, do it. There’s nothing wrong with that. But openly shouting criticism directed at a single player isn’t a great idea, especially at a youth level. First, players don’t want to be embarrassed in front of their peers. I’ve found they are usually so worried about what their teammates are thinking that they won’t pay much attention to what you’re saying anyway. And then they’re angry at the coach for embarrassing them. That’s a lose-lose. Sitting down with the player before or after practice, or taking them to the sideline during practice, I’ve found to be a much better idea. This will show them that you care about them, and give them time and focus to pay attention to your words. 1. When teaching drills, emphasize key points with your tone of voice. Players aren’t going to remember everything, so the tone of our voice tells them what we want them to remember. Emphasizing a key point with the tone of your voice is like highlighting words on a piece of paper. The words stand out. Your players will remember the things that stand out. 2. Also, you must emphasize the things your team stands for. If you’re a fast break team, make sure you’re emphasizing that every single training. Constantly talk about playing a fast pace style of basketball and make sure your drills are in line with the type of basketball you want to play. The level of basketball you’re coaching doesn’t matter as long as you’re coaching for the right reasons. Here’s something I want you to think about: What’s the most important goal for you as a coach? Usually, the answer to this question is going to come down to either: winning, or developing your players into better people. Sure, we can want both of those, but they can never be equally important. One has to take precedence over the other at some stage. Which one is more important to you? Developing your players into better people should always be the most important goal of a coach. If you do that, you win. No matter how many wins and losses are displayed on the ladder at the end of the season. Every day you get to decide your attitude. Regardless of your current circumstances or status, no one is forced to be nice or rude. It’s a choice. I’ve had conversations with a homeless man who could be the nicest person I’ve ever met! And unfortunately, some of the richest people I know are impolite and arrogant. It’s up to you to choose to use your manners and be polite. Make the decision to be nice to everyone you come in contact with. And smile! One of my favorite Don Meyer quotes of all time. For me, the third point is the most important. When you worry about who receives the credit it means you’re putting the individual before the team. This is a recipe for disaster. This isn’t only the players, this is everyone in the program. From the Athletic Directors, to the coaches, to the players, to the parents. Everyone. I’ve found a big piece to this puzzle is not accepting all the credit when it is given to one individual. When all the credit is accepted by one, the rest will start to question whether their heart really lies with team. The person receiving the credit has to be big enough to share the credit and let people know they couldn’t do this by themselves. A great example of this is Kevin Durant during this years MVP speech. There will be nights when the ball won’t go in the ring. We can accept that. It happens. It’s annoying, but it happens. The one thing that should never have a night off is our effort. Similar to lesson 4, effort is a choice. There’s nothing a coach hates more than a player choosing to be lazy on the basketball court. We shouldn’t have to coach effort. The first thing I recommend you to do is put these two books on your reading list. I’ve read many great books in my life and never had the chance to check out either of these two. They’re next on my reading list! Once you’ve done that, I want you to share a lesson that you’ve learnt from Coach Meyer in the comments below.